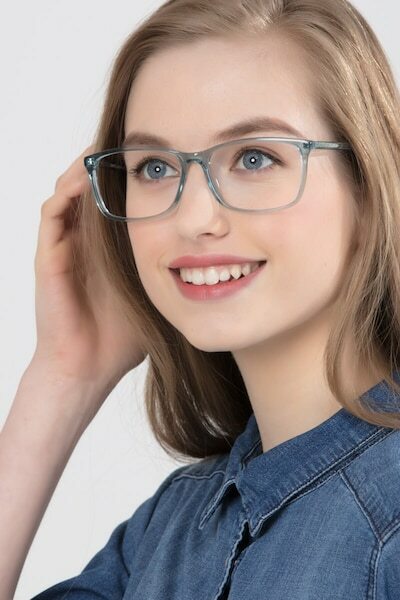 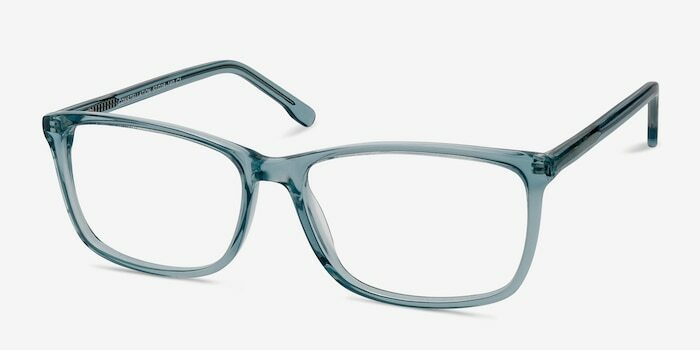 Clear, blue acetate frames with a square lens shape. 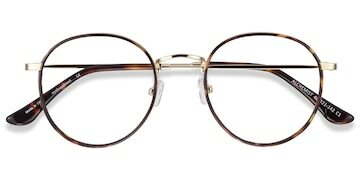 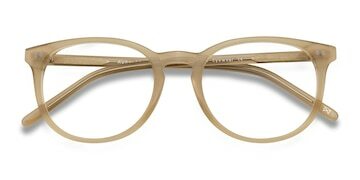 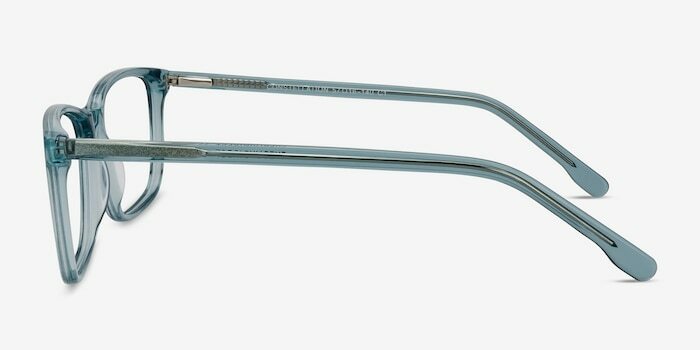 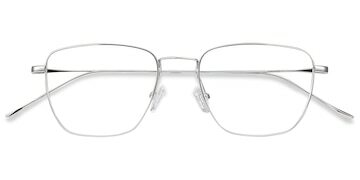 With a traditional nose bridge, the minimalist elements of these eyeglasses hints of Scandinavian design. 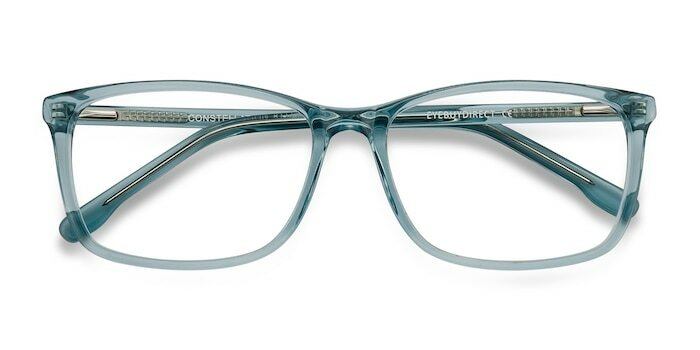 Spring hinges mean these specs will provide you with daylong comfort. 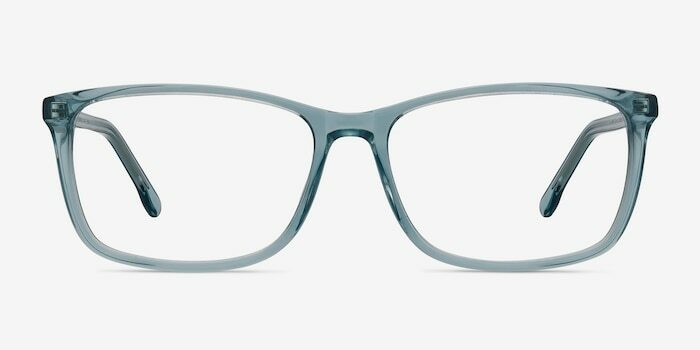 Love the new glasses. 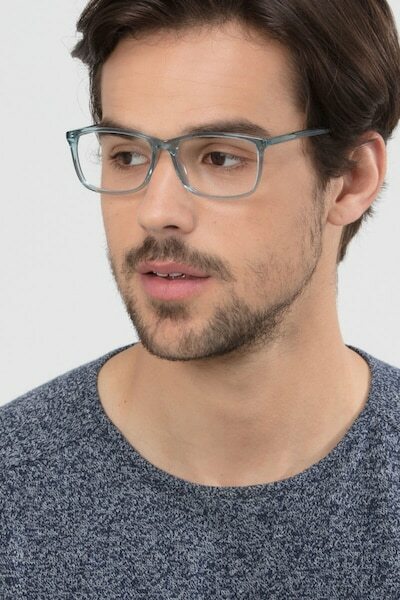 Will not hesitate to recommend EyebuyDirect to everyone I know.